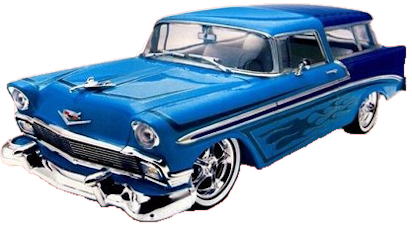 Used Cars Dealership - Lewis Auto Sales - Trusted For 65+ Years! Used Cars Dealership - Lewis Auto Sales - Trusted For 65+ Years! Used Cars Dealership - Lewis Auto Sales - Trusted For 65+ Years! Lewis Auto Sales has been serving the community for over 65 years! Your #1 Used Car Dealership! Looking for a used car, SUV or pickup truck? Check out our great prices! All of our vehicles are checked from top to bottom. Every vehicle is New York State inspected before every sale. Lewis Auto Sales has service you can count on! Our A+ rating with the Better Business Bureau will give you confidence that Lewis Auto Sales will give you the best service after you purchase your vehicle. FIND THE BEST CARs, THE BEST SUVs, AND THE BEST PICKUP TRUCKS AT LEWIS AUTO SALES! Looking for used cars? Lewis Auto Sales is a full service family owned used cars dealership that has been serving the community for over 65 years. We have a A+ Rating with the Better Business Bureau. All of our cars are checked out from top to bottom and are NYS inspected before every sale. Looking for a used car warranty? Lewis Auto Sales offers the best warranty for used cars. Our used car dealership is located in the Town of Evans, New York. Many of our customers have found us on the internet and traveled to Evans from as far away as Pennsylvania and Ohio since we have some of the best used car prices anywhere! Looking For The Best Used SUV For Sale? Most of all, if you are looking for the best used car, the best SUVs or best pick up truck, we invite you to stop in at our store. For your convenience, you can find our used cars, SUVs, and trucks listed on CarGurus. In addition to our listings on CarGurus, if you don’t see your vehicle of choice, we can help you find the perfect vehicle at a great price! Lewis Auto Sales offers very competitive prices on all our used vehicles. Visit us for a test drive today! Will you be financing a used car? Most noteworthy, Lewis Auto Sales can assist you with used car financing. Lewis Auto Sales is your countryside used car dealership that will treat you like family. Lewis Auto Sales has many used cars, SUVs, and pickup trucks from which to choose. Ford, Chevrolet, jeep, Kia, Nissan, and more. To do a vehicle inventory search, click the icon or button. In addition to used car sales, Lewis Auto Sales offers customers a vehicle service department that helped us earn an A+ Rating with the Better Business Bureau. You can with confidence from us! 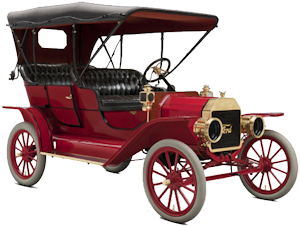 AutoCheck, which is owned by credit report giant Experian, issues each used cars vehicle a numerical score that compares the car to similar vehicles built that year to help you make an informed decision. 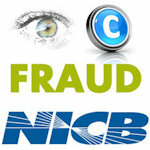 The NICB partners with insurance companies, consumers and law enforcement to combat insurance fraud and theft. 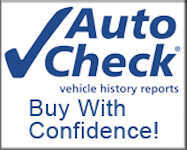 They offer Search VINCheck®, collect fraud reports and offer VIN manuals. We are a used car dealership that has been serving the community for over 65 years. Our A+ rating with Better Business Bureau shows that we keep our customers happy by servicing what we sell. Our family has been providing vehicles for 65+ years! 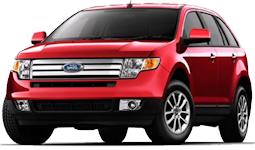 Check out our quality SUVs. We are very proud of our A+ rating! Our pickup trucks will get the job done! As a teenager, my father taught me how to repair cars. In those days, there were no electronic components. You could figure out a car’s problem without plugging in a computer. Once I started helping out with sales, I learned his most important lesson. He told me that if I always treated the customer right, they would come back and buy another car. That is why Lewis Auto Sales treats it’s customers like family. That is how my dad did it. That is how I do it. That is how you stay in business for 65+ years! Stop is and see us today! 1Convenient Location In Evans New York. 2A used car dealership with a helpful sales team. 3Service after the sale you can count on. 4Rated A+ by the Better Business Bureau. 5Buy the best used cars. 7Drive the best pickup trucks.